I made some brownies using Oreos recently and since then other Oreo treats have been catching my eye. 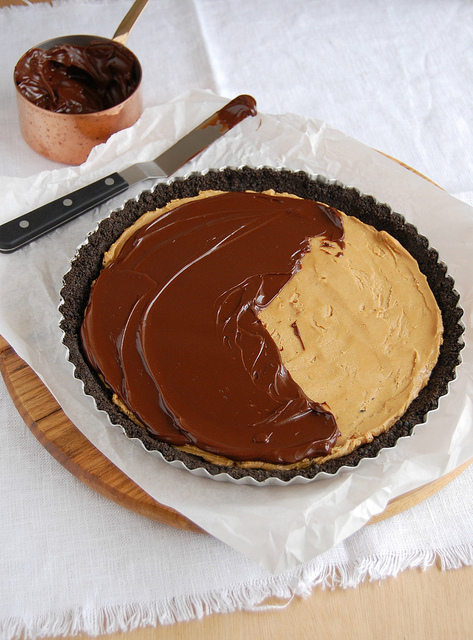 This Oreo and Peanut Butter Pie by the incredible Technicolor Kitchen looks like a sure winner! Peanut butter, chocolate and an Oreo crust? I think that is the American dessert trifecta. Grab the recipe here at the Technicolor Kitchen.